If you own a horse, then you know how enjoyable the experience can be. 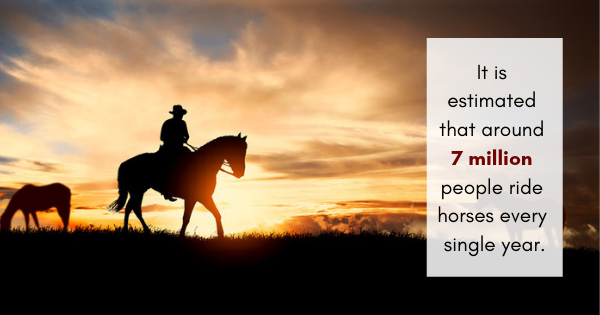 Horses are well-loved throughout the United States, and it is estimated that around 7 million people ride them every single year. For those that have the privilege of owning a barn with horses, there a few must-haves we recommend investing in. Check them out below. Horse sheets or therapeutic blankets can make a big difference when it comes to managing your horse’s sore muscles and back pains. Horse sheets have even been known for helping with arthritis, and they can aid in injury recoveries, as well. Along with this, horse blankets keep these creatures warmer when temperatures are cool, and some designs are ideal for warming up or cooling down before and after competitive races or riding trails. If your horse has experienced a leg injury, then they may be in recovery for quite some time. In fact, in certain circumstances, a bowed tendon can take close to one year to fully heal. With some horses weighing over 2,000 pounds, it is no wonder that their body experiences some serious strain from time to time. This is why knee boots, socks with ankle braces, and horse wraps are such an important investment. It may be exactly what you need to give your horse the relief it deserves. From calming jumpy horses to easing jaw tension to preventing injury and more, a horse cap or neck cover can do wonders when it comes to helping your horse stay in the best shape possible. We carry various styles and designs, so you are sure to find a fit that meets your needs and provides your horse with the comfort it needs. These three essentials will take you far when it comes to raising the best horses possible, but that is not all we carry here at Back on Track. We also carry saddle pads, liniments, and horse shoulder guards, all of which will help to keep your horses happier, healthier, and in tip-top shape. Have dogs on the premises, as well? We have bed liners, leg wraps, and coats for them, too. If you are ready to invest in the best of the best, work with us today. Your horse deserves it.